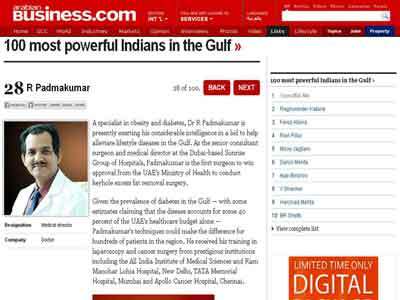 Selected in the list of “100 most powerful Indians in the Gulf” ,among 40 lakhs Indians, holding 28th position for the professional excellence and commitment in obesity and diabetes surgery in 2012. Invited faculty on Diabetes Surgery and Laparoscopic Hernia at IASGO 2012 (The 22nd World Congress of the International Association of surgeons, Gastroenterologists and Oncologist) held at Bangkok, Thailand. Invited specialist speaker to present topic on Sleeve Gastrectomy (for Obesity) and Colorectal cancer surgery at the IASGO 2013 (The 23rd World Congress) to be held at Bucharest, Romania. 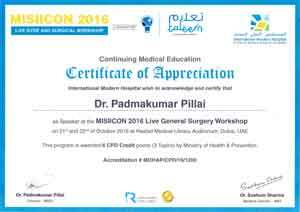 Invited as speaker on diabetes surgery in the National conference of Obesity and Metabolic Surgery Conference - BSMC 2013 (Bariatric Surgery Master Class) held in Pune (January 2013). 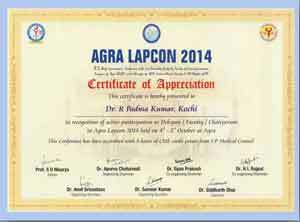 National Governing Council member of Association of Surgeons of India for 2013-2015. 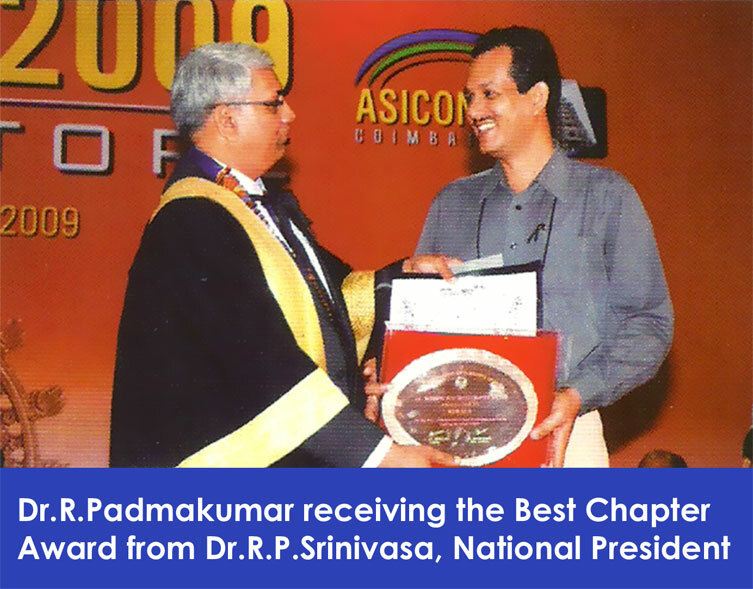 National President -Elect – Indian Hernia Society. 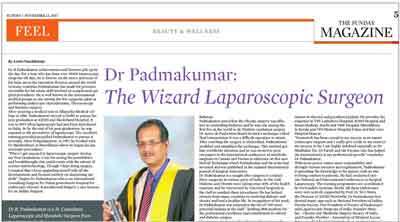 Editor - Kerala Surgical Journal , Website & News letter. Surgical faculty – University of Seychelles – American Institute of Medicine. 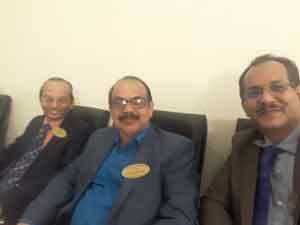 Past Medical Director – Sunrise Group of Hospitals. Has performed more than 5000 Hernia surgeries laparoscopically and has trained more than 100 surgeons the procedure. First to start Diabetes mellitus surgery in the state for non-obese category (5th in the world). First surgeon in entire GC to do Diabetes surgery in non-obese patients (UAE ministry approved). One of the few surgeons in India doing Endoscopic (no neck scar) thyroidectomy. World record on successful bowel surgery at 2 gm Hb without blood transfusion. He has got the licence to practice in India & UAE, MOH UAE, Dubai Health Authority, Health Authority Abu Dhabi, Kerala Medical Council, Tamil Nadu Medical Council, Indian Medical Council.